Preparing for a job interview is hard, and it is no wonder why so many people worry about them. Part of this is because most people don’t have a lot of experience marketing themselves to others. We are taught as kids that we are supposed to be humble and not brag about what we have done, or what we are good at. It is the opposite, however, when you are looking for a job because no one knows you. They can never know what you are good at unless you tell them. The best salespeople are the best, not because of the product they are selling, but because they can sell themselves. And that translates into being able to sell the product. In the same vein you will need to sell yourself to get that perfect job. One of the key things to sell is your leadership skills. This will help tell your prospective employer that even though you are going to be coming in at a lower position, the trainings that they have you go through, and the time they put into you, will not be wasted because you already have what it takes to climb up the success ladder. First you will want to think about what skills are important to you and to the job you are applying for. Then think about the times in the past when you have used those skills in your job, or in school if you are applying for your first job. In one sentence explain how you used this skill to accomplish something that was beneficial to your employer. You can choose a number of different skills, such as financial management skills where you may have raised funds, or made budget projections that allowed the company to expand. You can also choose skills where you have had to build a team or a program that solved a problem that ended up saving your company money. 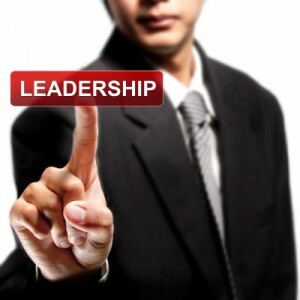 You should also include in this any leadership seminars you have attended and what skills you learned there. When you know these are on your resume, it is a good way to bring up these situations and discuss what the problem was and how you solved it in your interview. For an in-depth study on this topic consider joining Dale Carnegie Training’s Leadership Training for Managers training course in Indianapolis!